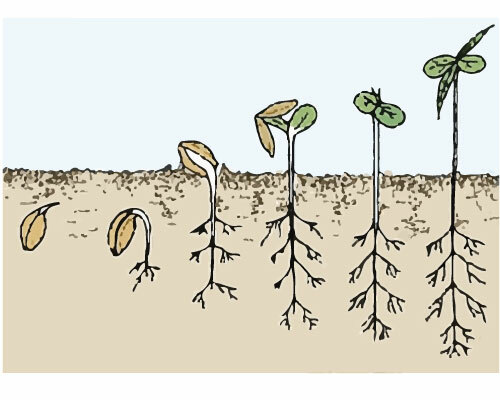 Germination is the first stage of a crop from seed, it only occurs if the external conditions (humidity, temperature, oxygen) and internal (maturity, viability, dormancy) are favorable. The first phase of germination is rehydration; place the seeds in a glass of warm water, at room temperature for 12 hours. 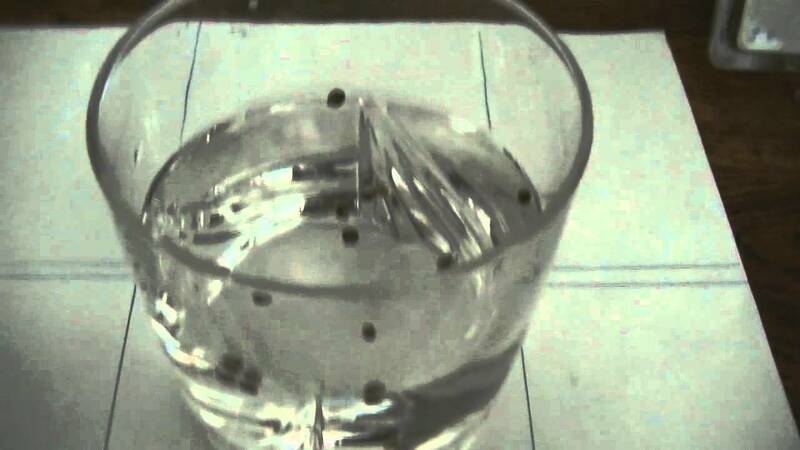 Initially the seeds will float, careful this does not mean in any case they are not valid. A seed just flows when rehydrated; if the seeds were well preserved (dry) before they float. Once rehydrated – therefore heavier – they flow. Sometimes at the end of the 12 hours some seeds have already started. Place the seeds between two pieces of “paper towel” and cottons facial wet but not soggy! Place everything between two plates, at room temperature, about 22-23 ° C.
The germ is naturally programmed to perform a U-turn. So if the germ protrudes only slightly, put it up. But if it already is 2 centimeters or more, put it down. Then, cover with soil a few millimeters. Now, be sure to water regularly with very small amount of water so that the soil is slightly moist but not soggy. The ideal is to keep the pot in a warm, moist mini-greenhouse. Furthermore, it is also possible to seed directly in the ground, however, it may be slightly longer.